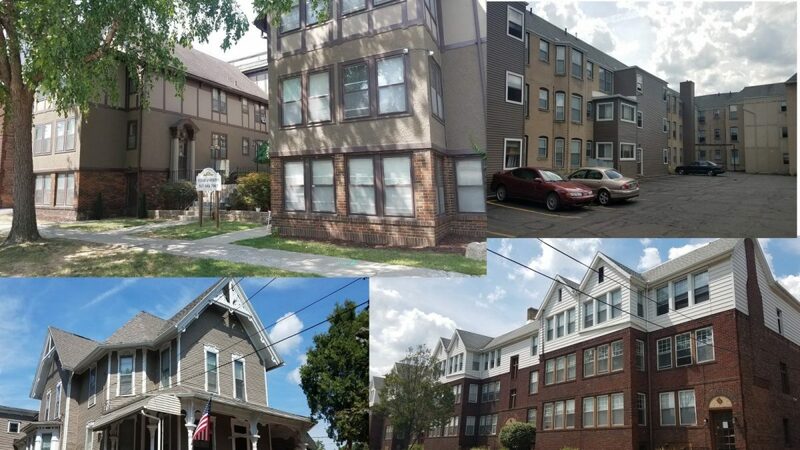 Income Property Organization is pleased to present a Jackson Multifamily Portfolio consisting of seven properties; 72 total units. Prices Ranging from $78,000 – $850,000. Properties can be acquired individually. Below-market rents for all properties and close proximity to downtown Jackson, Michigan. The city of Jackson is located in south central Michigan, approximately 40 miles west of Ann Arbor and approximately 35 miles south of Lansing. Jackson is the county seat of Jackson County and is the principal city of the Jackson Metropolitan Statistical Area (MSA). As of the 2010 census, the city had a total population of 33,534, while the MSA as a whole was 160,248. Jackson has a progressive and dynamic community with a focus on family-orientation, higher education and healthcare. Jackson is conveniently located with access to several major thoroughfares in the area. Several interstates and highways converge on this region, including I-94 and US-127. This excellent location facilitates commutes and enables convenient access to all of metropolitan Jackson for residents and businesses alike. Additionally, Wildwood is located less than three miles away from Jackson County Airport, which will be completing a $40 million dollar renovation and expansion project this summer. Downtown Jackson is currently undergoing a revitalization as the Downtown Development Authority encourages historic preservation as well as implement development plans to promote economic growth. Downtown Jackson is home to one of the state’s largest employers in Consumers Energy which employs of 2,400 employees and is located just blocks from Wildwood Apartments. Some of the other major employers in Jackson include, but are not limited to; Michigan Department of Corrections (2,040 employees), Great Lakes Caring (1,120 employees), Michigan Automotive Compressor, Inc. (800 employees), Jackson Public Schools (780 employees), & Meijer Supercenters (755 employees). Wildwood Apartments is a complex built in 1917, consisting of 1 building blocks north of downtown Jackson. It offers a highly desirable unit mix of 6, large one-bedroom units with 900 ft.2 of living space, 9, large two-bedroom units with 1,100 ft.2 of living space, 6 enormous three-bedroom units with 1,400 ft.2 of living space, and 3, enormous and highly sought after four-bedroom units with approximately 1,800 ft.2 of living space. Notable for investors is the occupancy, which is currently at 100% and has maintained levels between 95-100% recently. One reason for that is the aforementioned location, as well as the recent upgrades, and minimal deferred maintenance to the property. As mentioned, Wildwood is located just blocks from the heart of downtown Jackson. Due to this exceptional location, it provides tenants with numerous retail, educational, recreational, and entertainment opportunities that are close to home. Wildwood has been well-maintained and this offering represents a turn-key investment for a multifamily investor. The property has recently received many capital improvements to include roofs, siding, windows, as well as many of the HVAC systems. Wildwood is performing well, which is evidenced by its 100% occupancy. The complex stays full due to a host of factors, including the condition of the property, its aforementioned strategic location, as well as the amenities it offers. At the asking price of $850,000, this offering represents a 9.01% cap rate and potential 15.70% pre-tax ROI based upon current income trends and 2016 expenses. With multifamily investment being the preferred asset class in the current market place, Wildwood presents an exciting opportunity to acquire a high quality turn-key asset. Wildwood is being marketed as a new financing opportunity, enabling a multifamily investor to take advantage of the all-time low interest rates. Steward is a complex built in 1919, consisting of 1 building located blocks north of downtown Jackson. It offers a highly desirable unit mix of 2, large one-bedroom units with 900 ft.2 of living space and 10, enormous two-bedroom units with 1,100 ft.2 of living space. Notable for investors is the occupancy, which is currently at 100% and has maintained levels between 95-100% recently. One reason for that is the aforementioned location, as well as the recent upgrades, and minimal deferred maintenance to the property. As mentioned, Steward is located just blocks from the heart of downtown Jackson. Due to this exceptional location, it provides tenants with numerous retail, educational, recreational, and entertainment opportunities that are close to home. Steward has been well-maintained and this offering represents a turn-key investment for a multifamily investor. Steward is performing well, which is evidenced by its 100% occupancy. The complex stays full due to a host of factors, including the condition of the property, its aforementioned strategic location, as well as the amenities it offers. At the asking price of $325,000, this offering represents a 9.10% cap rate and potential 16.37% pre-tax ROI based upon current income trends and 2016 expenses. It is imperative to note that according to our rent comparables study, current rents are more than $100 below market. If a new investor were to raise rents by just $25 per month, it would add approximately $3,600 to the NOI, representing an increase of $40K in value. With multifamily investment being the preferred asset class in the current market place, Steward presents an exciting opportunity to acquire a high quality turn-key asset. Steward is being marketed as a new financing opportunity, enabling a multifamily investor to take advantage of the all-time low interest rates. Steward House is a converted house built in 1920, consisting of 1 building located blocks north of downtown Jackson. It offers a highly desirable unit mix of 1, studio unit with 500 ft.2 of living space, 3, one-bedroom units with 750 ft.2 of living space, and 1, large two-bedroom units with 900 ft.2 of living space. Notable for investors is the occupancy, which is currently at 100% and has maintained levels between 95-100% recently. One reason for that is the aforementioned location, as well as the recent upgrades, and minimal deferred maintenance to the property. As mentioned, Steward House is located just blocks from the heart of downtown Jackson. Due to this exceptional location, it provides tenants with numerous retail, educational, recreational, and entertainment opportunities that are close to home. Steward House has been well-maintained and this offering represents a turn-key investment for a multifamily investor. Steward House is performing well, which is evidenced by its 100% occupancy. The complex stays full due to a host of factors, including the condition of the property, its aforementioned strategic location, as well as the amenities it offers. At the asking price of $78,000, this offering represents an astounding 9.46% cap rate and potential 17.81% pre-tax ROI based upon current income trends and 2016 expenses. It is imperative to note that according to our rent comparables study, current rents are more than $100 below market. If a new investor were to raise rents by just $25 per month, it would add approximately $1,500 to the NOI, representing an increase of approximately $16K in value. With multifamily investment being the preferred asset class in the current market place, Steward House presents an exciting opportunity to acquire a high quality turn-key asset. Steward House is being marketed as a new financing opportunity, enabling a multifamily investor to take advantage of the all-time low interest rates. IPO has seen considerable improvement in pricing over the course of the last 48 months and it is our professional opinion that values will continue to trend upwards through 2017 as a result of historically low interest rates. Steward House represents a stabilized, turn-key asset that can be purchased at an incredibly competitive value. With interest rates predicted to rise this summer, there is no finer time to acquire a multifamily asset at an attractive value like Steward House. Please call IPO immediately to set up a confidential tour before this attractive opportunity is gone.